Ron Cartavio XO Destillerias Unidas S.A.C. Yes, I know, who ever really heard about Peruvian rum before? Not exactly a noted region for rum production but I think Ron Cartavio may change that and put Peruvian rum on the map. Notes: Yes, I know, who ever really heard about Peruvian rum before? 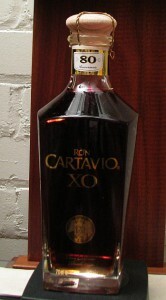 Not exactly a noted region for rum production but I think Ron Cartavio may change that and put Peruvian rum on the map. This is premium rum in which the age, quality, and price are outstanding. A blend of minimum 10 years old with a maximum of 30 year old rums (and the weighted age average of 18 years) blended to show off their best product. Fermented in stainless steel using an anaerobic fermentation then aged in three different types of oak – American, French Limousin, and Slovenian casks in a solera cask system for various periods of time then blended to profile. 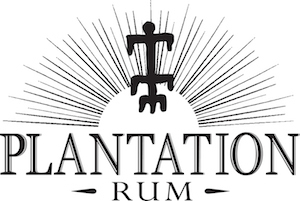 This is the oldest rum in their portfolio but newest edition to their line of extensive rum offerings. A slideshow and videos from my recent trip to their distillery has been uploaded for your viewing pleasure. Appearance: Dark brown red / gold, or patinated bronze. Sparkling clear with no hazing separation or floating sediments. Very thin edgeline / meniscus with crenellated edges develop on swirling. First Impression: Slightly sweetish, caramelized molasses, cinnamon, nutmeg, mace, allspice, spice and flowers, buttery nuts (macadamia, hazelnuts etc.) with hints of old leather and tobacco. Taste: Spicy, paradoxically sweetish and drying entry, some citrus, dried fruits and flower notes, walnuts, persimmons, medium to heavy bodied. 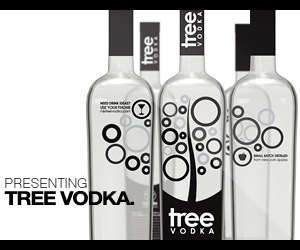 Lovely oak pepper and vanilla notes intermixed ginger, leather, spice and tobacco. Finish is long with a spicy dry tingling to the lips and a lingering sweetness in a nice non cloying way. Drinks: Works well for the classic older style (read non-umbrella) drinks.Similar to many other anejo rums out there (particularly the Venezuelan or Guatemalan) in terms of overall style/flavor profile but besting most of them. Absolutely marvelous for drinks calling for a heavy or dark rum as it is far superior to many dark rums such as Pussers or Myers. Bottle/Packaging: Complete departure from their other bottles.High quality glass decanter with heavy bottom in a squarish decanter style with gold Silk screening directly on glass. Wooden knob top with “XO” burned onto top with a gold colored wire bail to ensure a tight closure and premium trim to the package. A very impressive gift to give of receive both in quality of rum and packaging. Final Thoughts: A much more heavy and flavorful rum than it’s younger siblings with a very attractive price. This rum is one of our favorites especially for a dark and sweet one. Quick loading, very informative, nice videos, drink recipes and inforamtion on their whole range of rum. Actually, one of the better websites I have come across in recent memory.